What a Wonderful Event . . . . Thanks to Vicky and the Committee!!!! 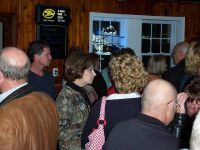 I would have never believed it would have so well attended and so much fun!!! Here is a link to the Excel Spreadsheet with Class Information. You will need to "Copy and Paste" it into your browsers address bar. We removed the hyperlink to protect the list from spammers. Let's make sure the information is correct! 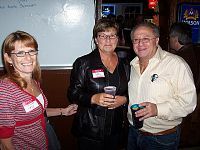 The Grand Island High School Class of 1967 - 40th reunion icebreaker photos taken at B.A. 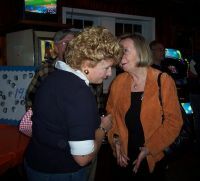 's Saloon on Friday, October 12, 2007 by Diane Hassan. More photos may be posted to this page at a later date. More photos of Saturdays Events to follow shortly. 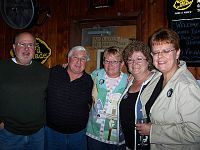 . .
Committee members for the Class of '67's Fortieth Reunion are (left) Vicky Huer Lynde (Colrain, Massachusetts), Carol Kohlhagen Hamlin (Grand Island), Reg Schopp (Grand Island), Barbara Bykowicz Barbur (Oakfield, New York), David Miller (New Jersey), Jackie Pritchard Mordaunt (Grand Island), Bonnie Mielke Spacone (Niagara Falls, NY) and Steve Tharp (New Jersey). 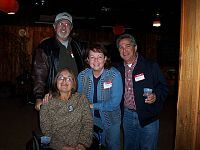 The GIHS Class of 1967 will start off their class reunion with an ice breaker party at BA's Saloon with Jim Beishline on keyboard and an open mic. 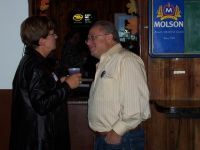 A pre-game tent/tailgate party takes place at "Homecoming" on Saturday, October 13, 2007 at Grand Island High School when the Varsity Vikings Football Team plays Starpoint at 2 p.m. Those with reservations will attend a cocktail reception with dinner and dancing at the Holiday Inn on Saturday evening. 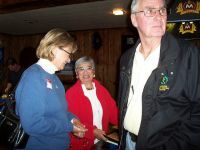 A brunch on Sunday morning at the Holiday Inn is open to those interested in getting together around 9-9:30 a.m.
Friday evening- Ice Breaker Party at BA's Saloon with Jim Beishline on keyboard & an open mic. Right Around the Corner . . . so get your Money In!! Fill out the form first so we know where you are . . .
and let us know that you are sending your money in. Here is a list of those with deposits in . . . . Along with our first list . . . . . If you are still undecided . . . we want you there! let's make this a Class of 1967 Event! A planning committee has been working to plan this- our first official reunion since 1987. You do not want to miss this opportunity to renew old friendships, relive old memories and share what you have been up to over the past 40 years. 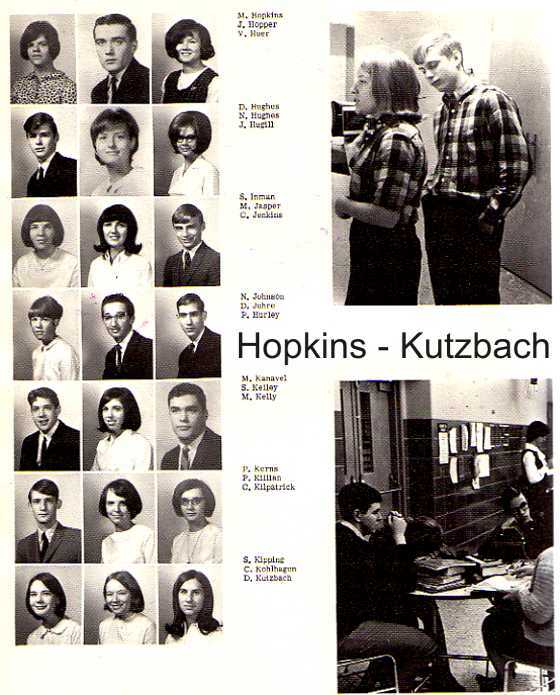 We experienced a unique time during our high school years: the Sixties was both a formative time in our nation’s history and for Grand Island, with the construction and opening of its first High School. And we were all a part of creating the school and its history. Fill out the enclosed form and let us know whether you will be able to attend. Whether you can attend or not- let us know of some of the important or not so important events you have been through since we last were together. We also continue to need help in tracking down lost classmates. If you have been in touch with any classmate and have a contact number or address, please send it along so we can contact them and make sure they are included in this great event. 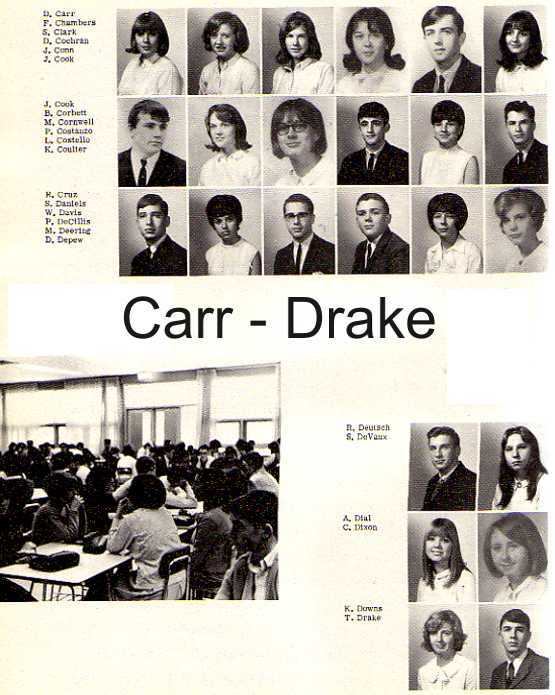 We are opening our reunion events to the Classes of ’66 and ’68 as well, so be sure and spread the word. Rooms have been held at a special rate at the Island Holiday Inn- you can make your reservations for these dates by calling: 716-773-1111, and referring to Event Class of 1967 Reunion, Oct 12-14. 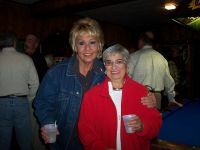 Your committee includes: Vickie Lynde, Reg Schopp, Dave Miller, Steve Tharp, Carol Hamlin, Phyllis Killian, and a number of others who have generously offered their help to make sure this event is a BIG success. JOIN US in this fabulous fall reunion event!! The Class list has been removed to protect the Email addresses. The link to the file still works . . or email me and I will send you the URL. We have 61 Email addresses - 110 left to find. Do I hear 62? 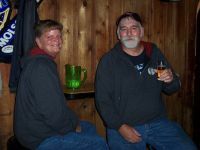 Email or Snail Mail addresses would help, Email Reg Schopp With Updates. 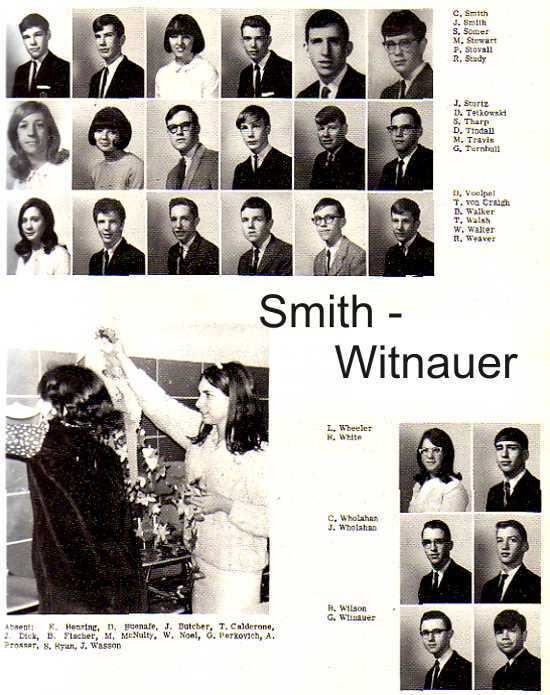 Here is a Special Link to 1967 Graduates Guestbook . . . 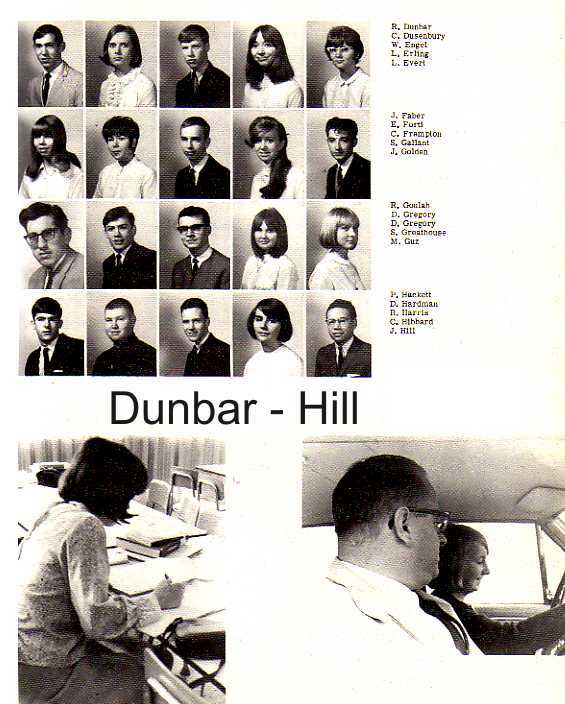 These photos might help tweak your memories . . . . from the 1966 Yearbook. 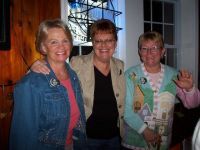 Vicky (Huer) Lynde, GIHS Class of '67, is asking anyone interested in working on a 40th reunion committee for the Grand Island High School's second graduating class, to email her. Those unable to join the planning committee are also asked to contact her with current addresses. 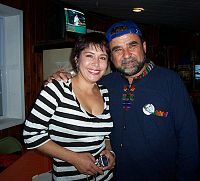 I read Isledegrande.com every week looking for news of old friends, changes to the Island, etc. 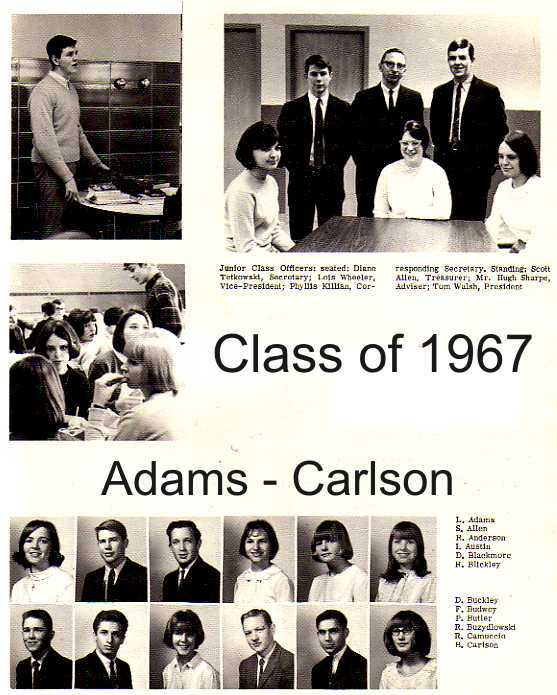 I graduated GIHS Class of '67 - the second graduating class. 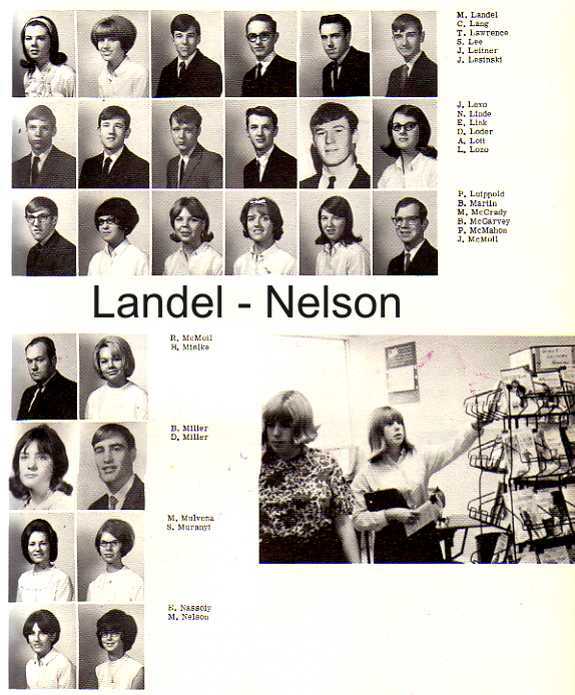 This June will be 40 years since we graduated and I've been watching to see if there are plans for a reunion. So far - have seen nothing (in print anyhow). Is anyone aware of any plans in the making? I live 8 hours away from the Island but would be more than willing to help plan and put together a reunion if someone out there would take the helm. 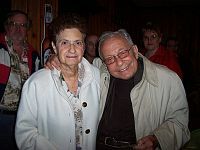 Send your reunion information to "teddy@giecom.net"
Reunion Planners - send us your news and we will post it online on our front page with a link to this page with the "complete story." 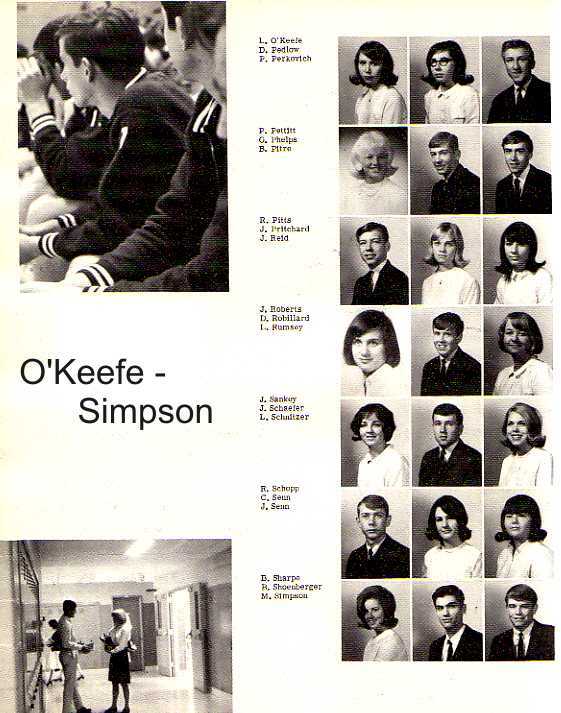 How about a picture of your class from the yearbook? We can scan it if that will help.